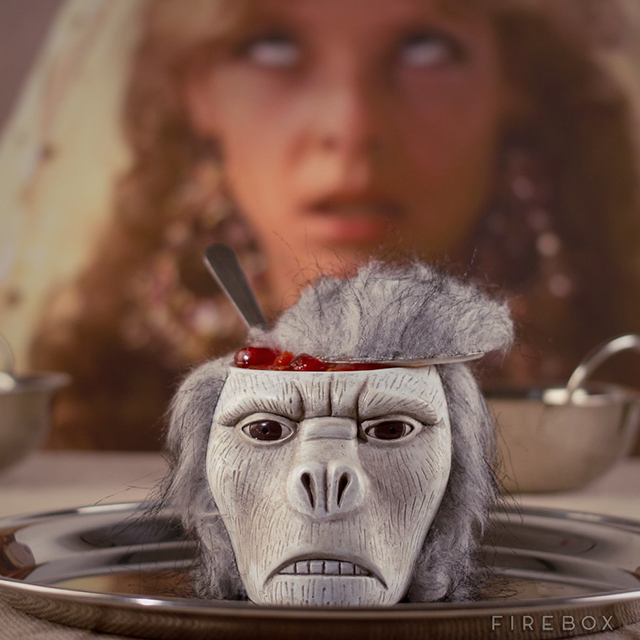 Firebox has released a creepy Monkey Brain Bowl that you can eat food and “chilled monkey brains” out of or recreate the famous dinner scene from Indiana Jones and the Temple of Doom. The Monkey Brain Bowl, which comes equipped with a skull cap lid to keep food cold or hot, is available to purchase online. 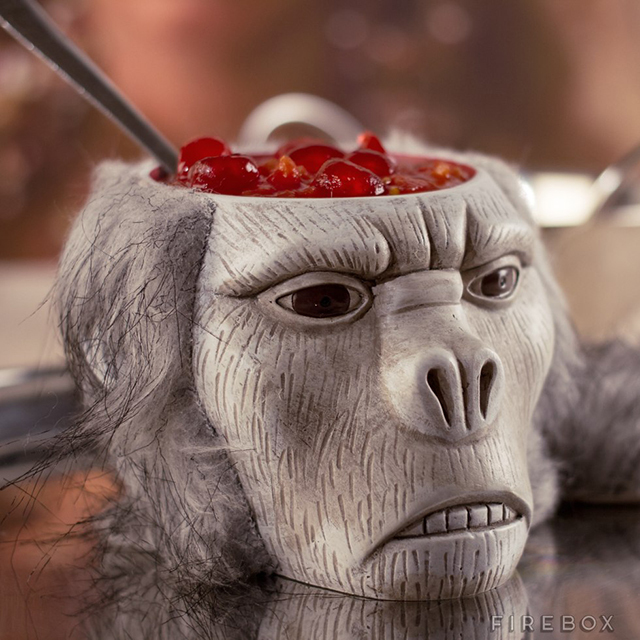 So why not liven up meal times with this Monkey Brains Bowl and scoop chilled cerebral delicacies straight from its hairy gaping cranium. If this fine piece of severed simian storage is good enough for his Supreme Highness, the Maharajah of Pankot (and he knew how to party), then it’s certainly good enough for you. You can fill it with all sorts of exotic delights like crispy Coleoptera beetles, Eye-ball soup and “Snake Surprise” …or something more boring, like cornflakes.